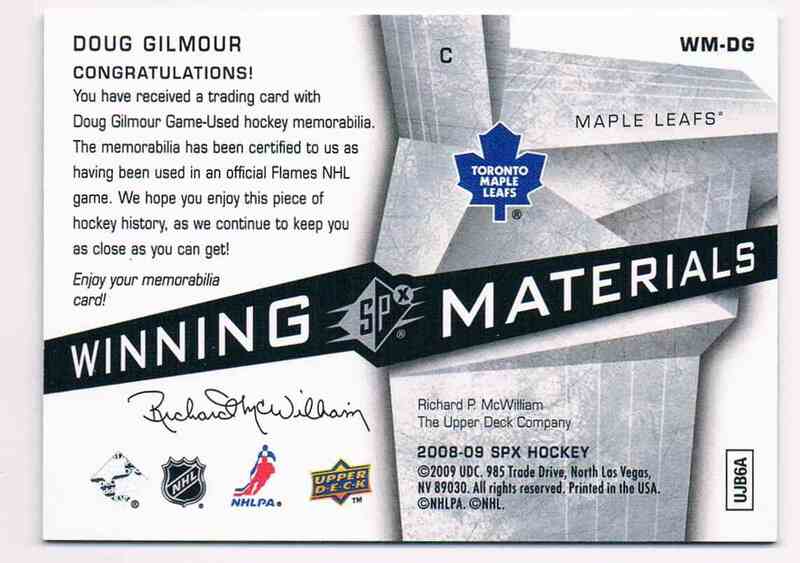 This is a Hockey trading card of Doug Gilmour, Toronto Maple Leafs. 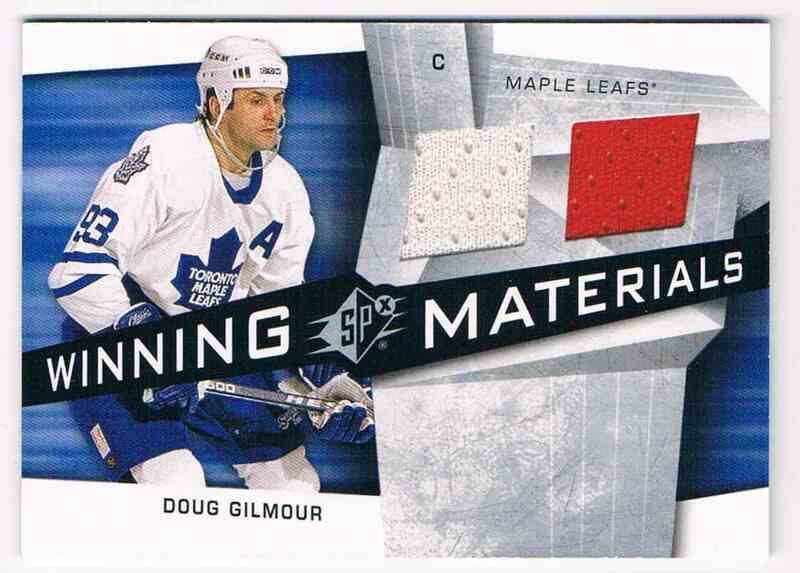 It comes from the 2008-09 Upper Deck Spx Winning Materials set, card number WM-DG, embedded Dual Jerseys 2 Colors. It is for sale at a price of $ 12.00.